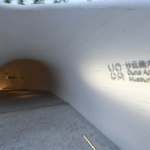 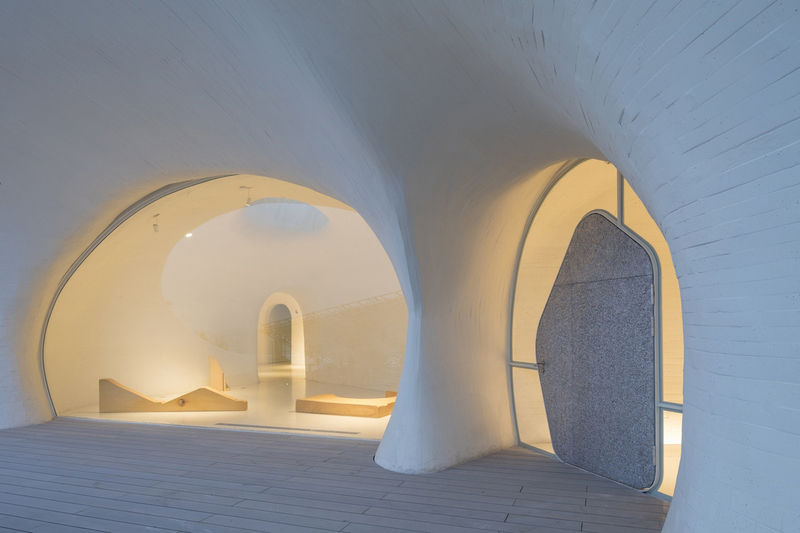 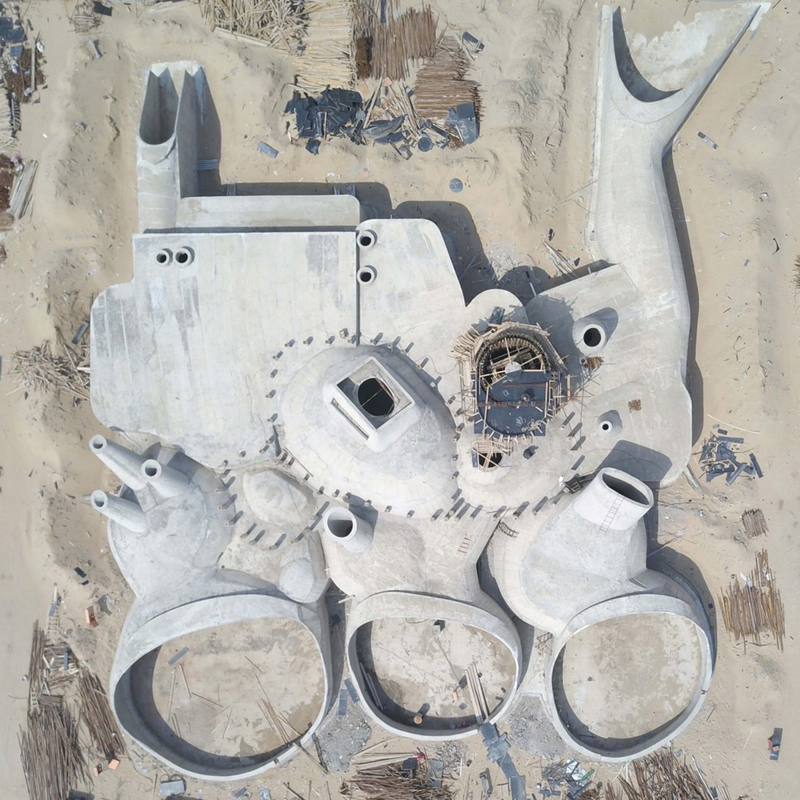 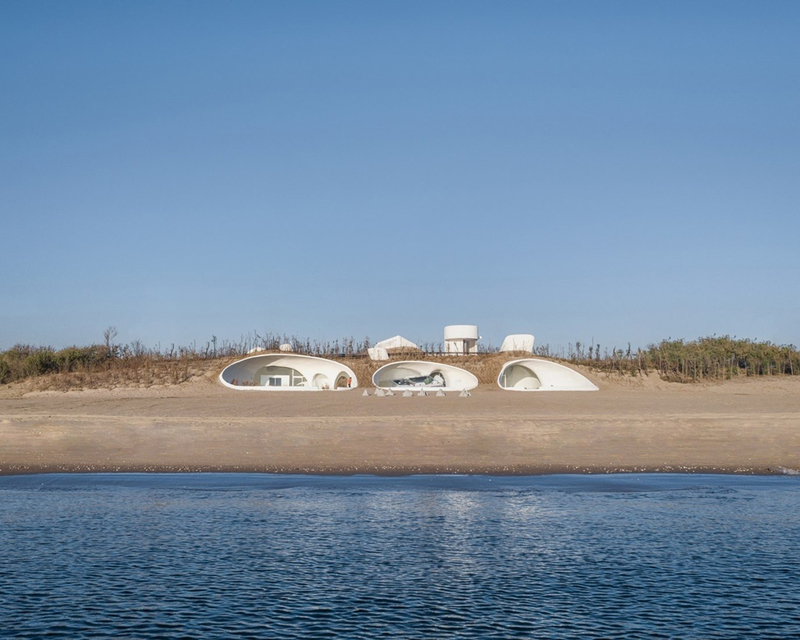 New York City and Beijing–based OPEN Architecture recently completed a cave-like museum that’s carved into a sand dune along China’s Gold Coast. 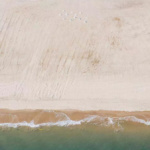 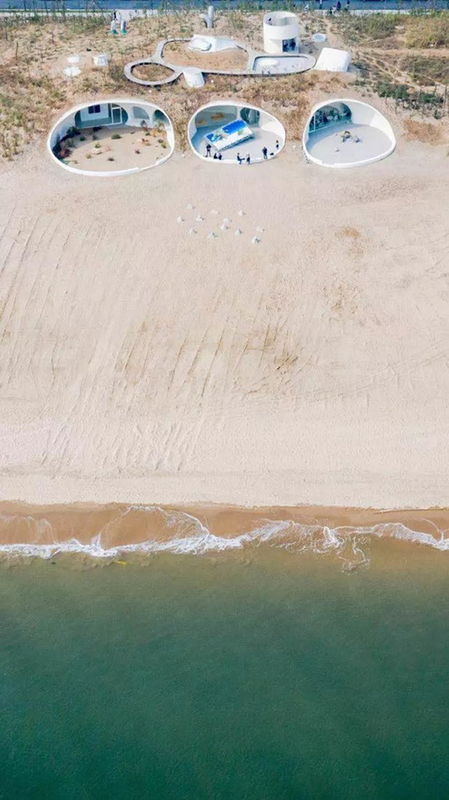 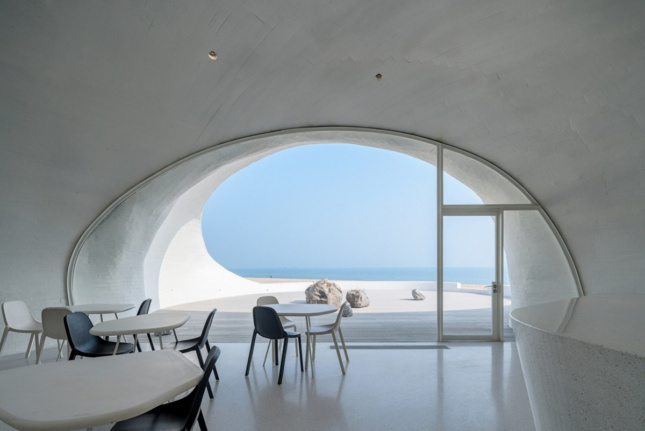 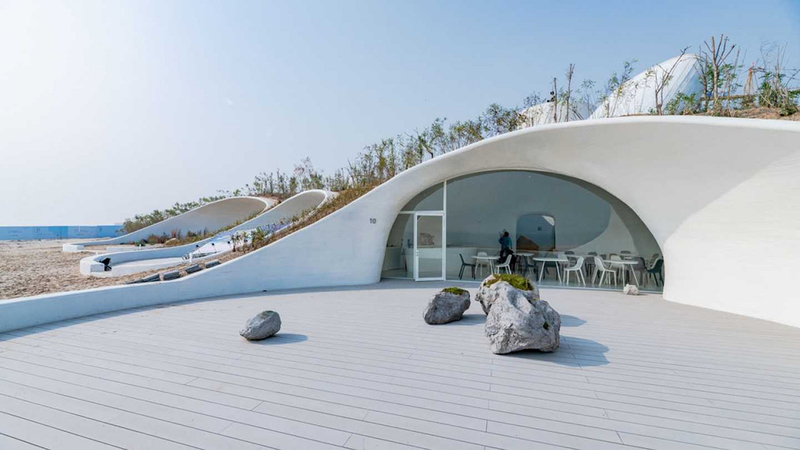 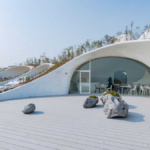 The UCCA Dune Art Museum is a 10,000-square-foot facility featuring 10 galleries, studios, and a cafe tucked inside an all-white, unassuming structure beside the sea. According to the architects, the museum’s hidden form was inspired by the way in which children dig into the sand. 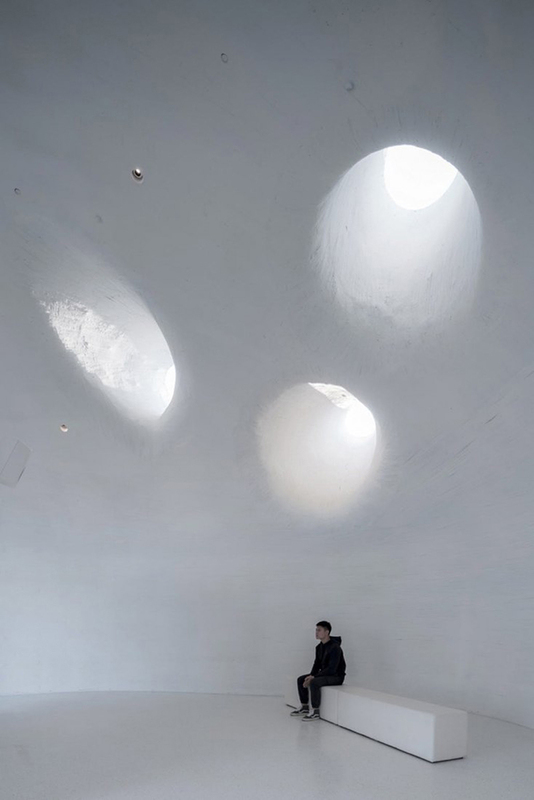 It takes visitors beneath the mass of loose land and allows them to enter into a series of otherworldly, cell-like spaces below ground. 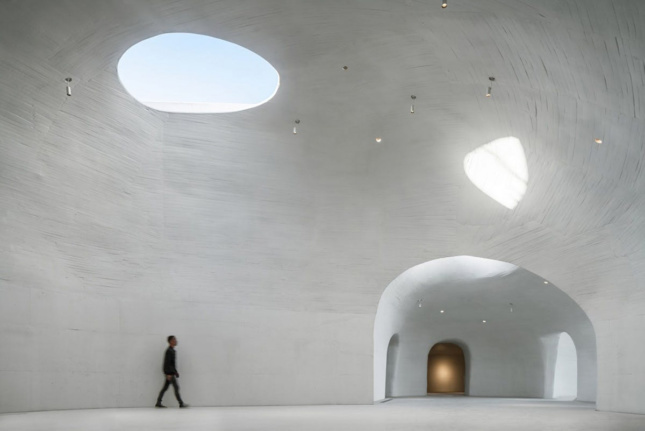 After walking through a dark tunnel and small reception area, museum-goers are exposed to the largest multifunctional gallery. 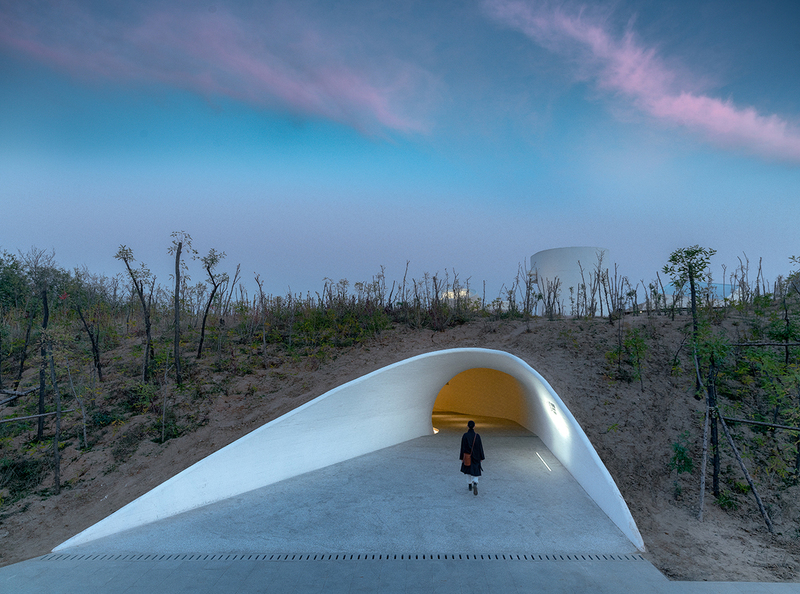 This procession, along with its secluded location, creates a more personal experience for viewing contemporary art. 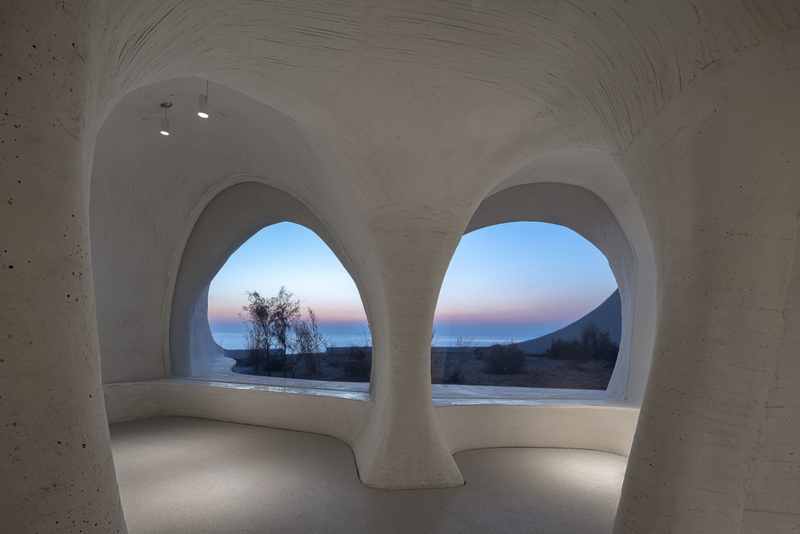 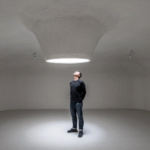 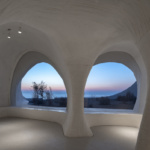 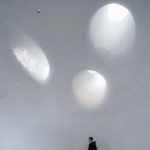 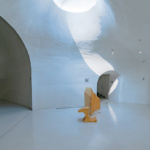 “Its interconnected, organically shaped spaces echo those of caves…whose walls were once home to some of man’s first works of art,” the firm told Archinect. 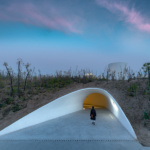 The largely-underground building includes a massive concrete shell that was formed by small linear wood strips and other structural materials. 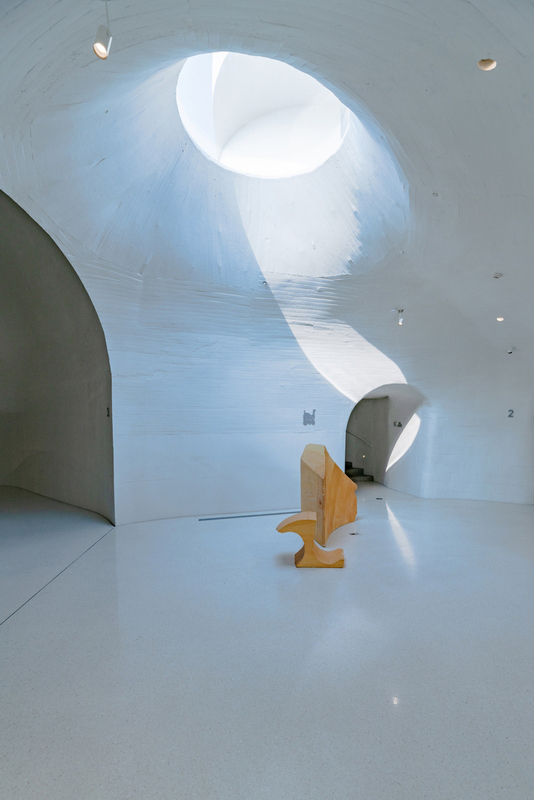 A multitude of overhead openings and skylights of varying sizes allow natural light to seep into the gallery spaces. 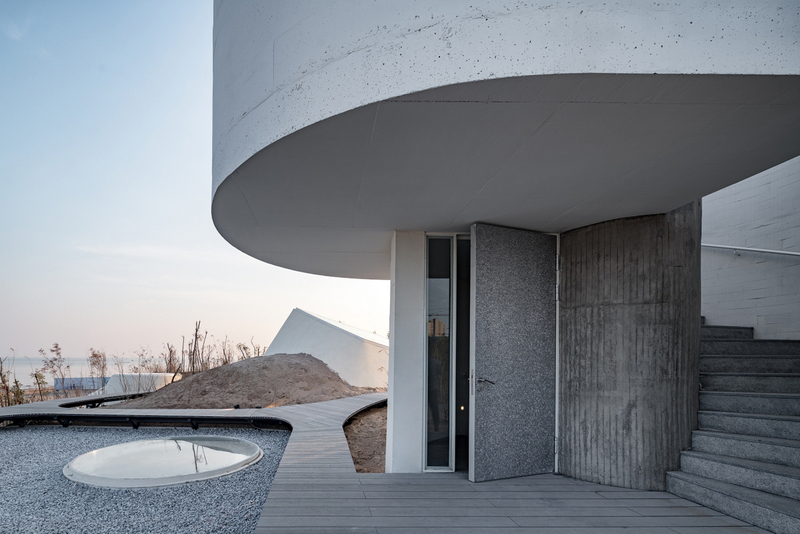 Perched by the shore, the roof is covered in sand to reduce the building’s overall heat load. 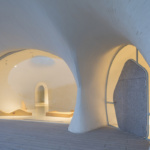 It also includes a low-energy, zero-emission ground source heat pump that cools the structure during the day. 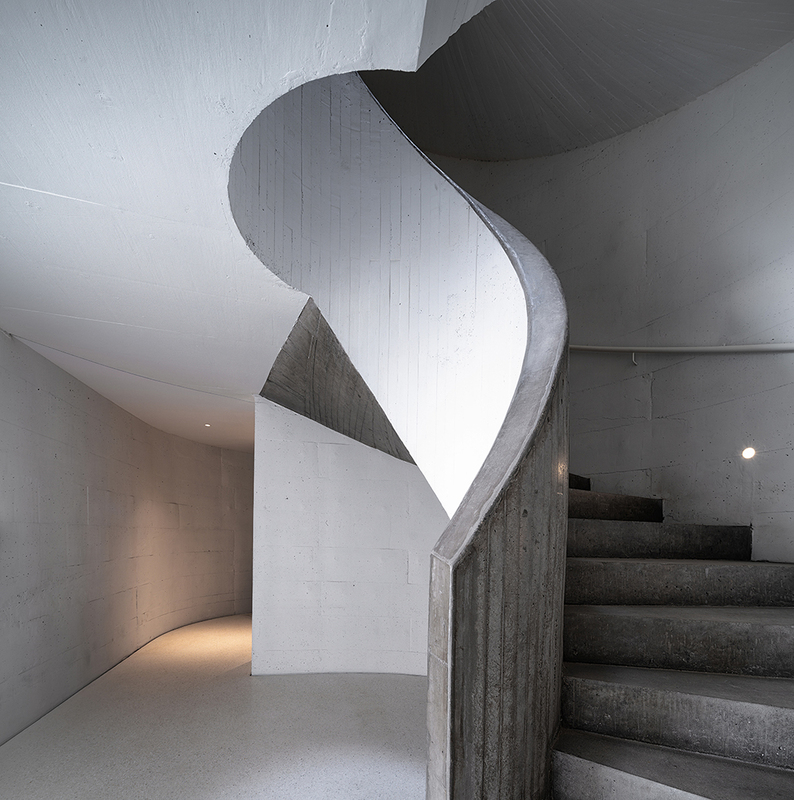 Visitors can ascend a spiral staircase from the galleries up onto a viewing platform to take in the surrounding views and fresh air. 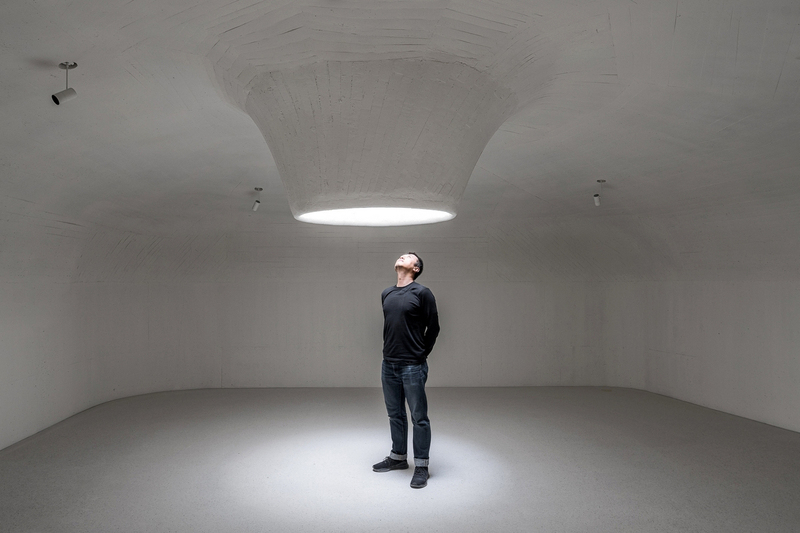 The entire space is engineered to be contemplative, urging art lovers to consider the museum’s context as part of the art itself. 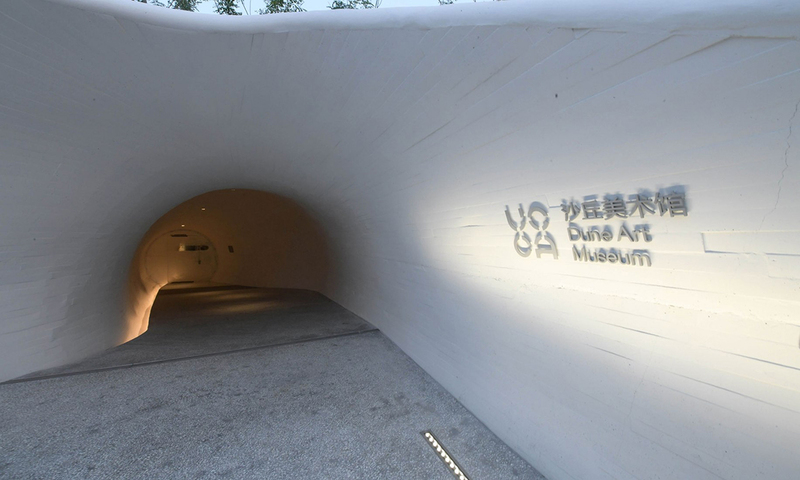 The UCCA Dune Art Museum is part of the Ullen Center for Contemporary Art in Beijing, a leading international institution. 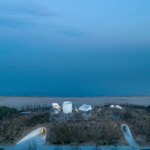 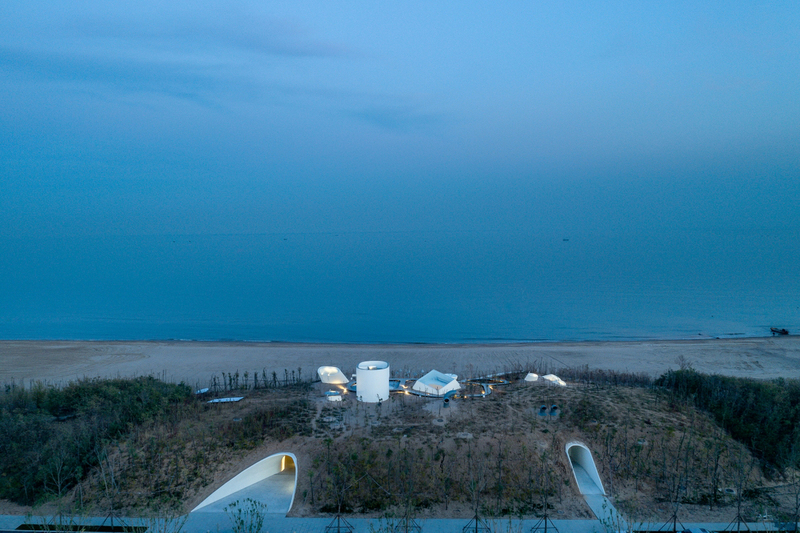 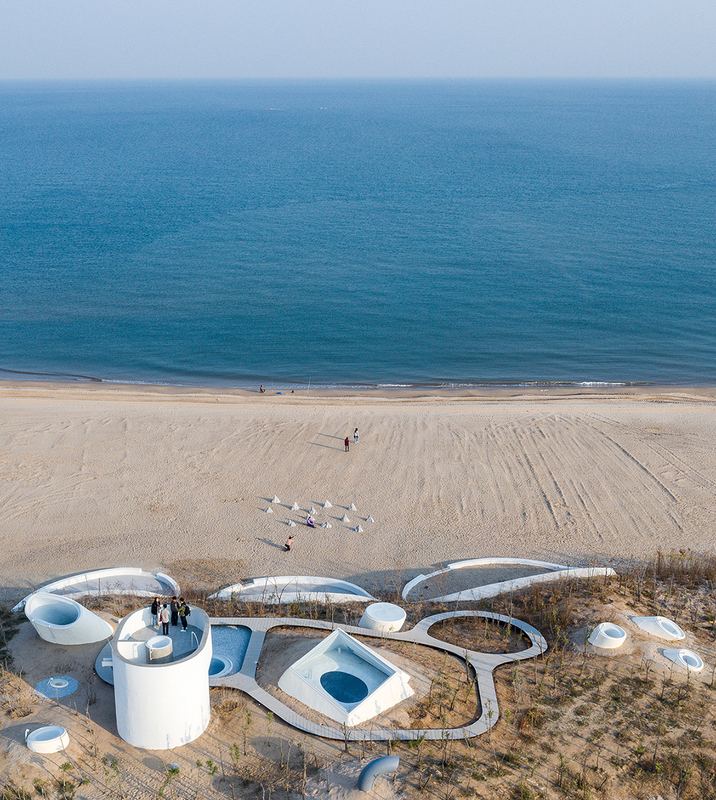 OPEN Architecture aims to design a walkway that extends from the Dune Art Museum into the Bohai Sea. 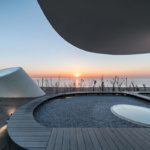 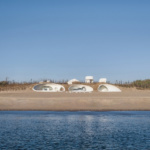 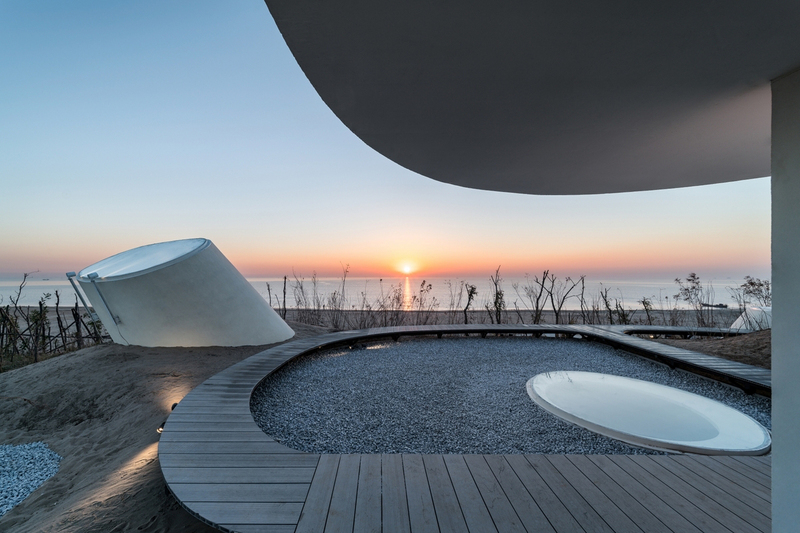 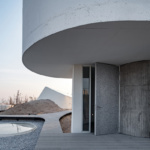 When the tide is low, it will lead visitors to the solitary Sea Art Museum, a boxy, open-air structure built like a rock. 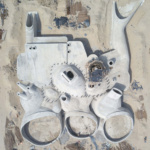 That project is currently under construction.